Tyra Summit Condo are ski in ski out condos in Breckenridge Real Estate. Most Tyra Summit Condos back the Four O’Clock Ski Run and are a short distance to the Snowflake Ski Lift. Located on Four O’Clock Road and less than four blocks to Breckenridge’s Main Street for shopping, dining and entertainment make these Breckenridge condos ideally located for owners and guest. All of these Breckenridge ski condos have access to an indoor heated pool, hot tubs, clubhouse area and shuttle service nearby. There are 112 units in the Tyra Summit Condo complexes which were built in 1980, 1983, 1990 and 1993. There is a range of unit sizes available with 20 – studios, 8 – one bedrooms, 34 – two bedrooms, 41 – three bedrooms/two bedrooms + lofts, and 9 – four bedrooms. Tyra Summit Condos are steps from many hiking and biking trails as well. 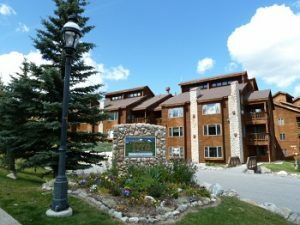 If you are looking for a Breckenridge condo for sale that is centrally located for year round enjoyment, Tyra Summit Condo is a must see in Breckenridge Real Estate. *There are many different buildings and homeowners associations that make up the complex referred to as Tyra Summit Condo. We are very familiar with all of the complexes, any questions we can’t answer we will be happy to find out for you.